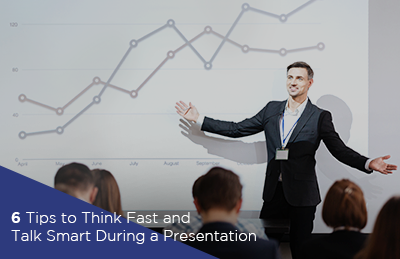 Great presentation skills are important — whether it’s for a presentation to one’s team, top management or to an external client. Salespeople present to close deals. Researchers present their findings. Professionals present proposals, budget requests, and all their other work. The bottom line: results are produced with good presentations. Presentations that capture the audience’s attention is built on creating powerful content using a visual material, and delivering it in an organized, confident manner. Here’s an extensive list of free (and some freemium) tools that you can to create amazing presentations. PowerPoint is the widely-used software for creating and delivering presentation slides. It comes with ready-to-use templates, a useful presentation view (with timer, notes, etc. ), and a range of tools for creating and editing text, images, graphics, and charts. 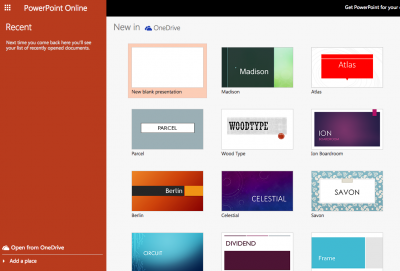 While the desktop version of everyone’s favorite is still paid, Microsoft has provided users ways to use their Office apps for free via web (Office Live) or mobile apps (Android and iOS). 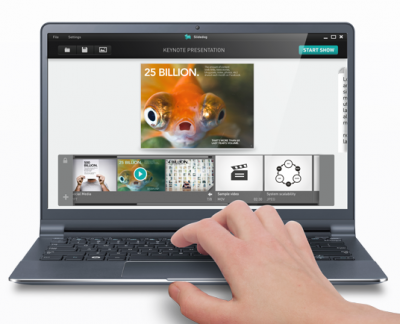 Another free online presentation tool you may want to check out from Microsoft is Sway. Since 2013, Apple has made their powerful presentation tool available for free not only on their platforms (iOS and macOS) but also to anyone with access to a web browser (through iCloud.com). 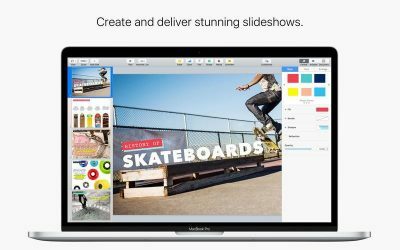 Keynote has a streamlined interface that makes it easy even for first-time users to create slides, graphics, text, and other visuals for presentation. Grid lines also automatically appear as you move around elements such as images and text to make sure everything is properly aligned. 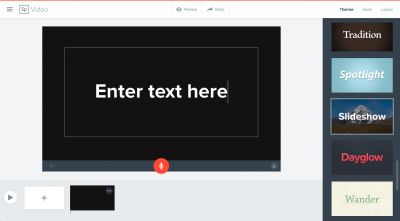 Slides is Google’s presentation application that can be used to create beautiful slides. From starting out as a web tool, Slides can now be used via a mobile device (Android and iOS) today as well. Two key features of Slides include being able to edit presentations collaboratively with other people at the same time, and presenting slides online through Google Hangouts. 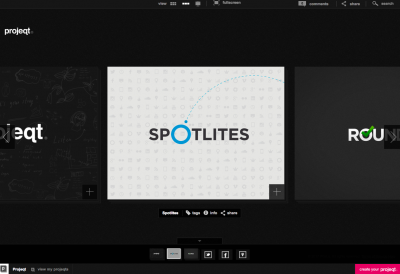 Prezi is a cloud-based tool that lets you create, present, and even analyze your presentations. Wherever you have an internet connection, you can create and collaborate with other people. The free version even comes with the mobile presentation remote even without Wi-Fi so that you can use your phone or tablet as a remote clicker. Finally, because you can make your presentation available online with Prezi, you can track the overall views and even the amount of time spent per slide on your presentations. 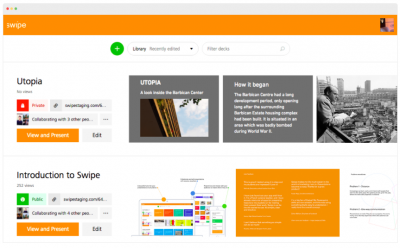 Visme is a web-based tool that lets you create presentations, reports, infographics, and even web pages. By simply dragging and dropping elements from a toolbar, Visme allows you to customize your slides and add various kinds of media to your presentation—including video and audio. The app is also very user-friendly and straightforward enough to help non-creatives produce great-looking slideshows. 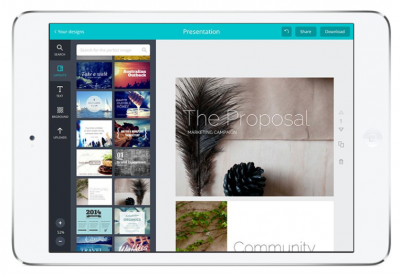 Available for use on any web browser or the iOS apps, Canva is a very easy-to-use graphics creation software. It has a drag-and-drop feature and ready-to-use layouts and templates for designing not just posters or social media graphics, but also for professional presentations with beautiful typography, graphs, and charts. Canva offers everything you would need to create beautiful designs—from millions of stock images, hundreds of fonts, and a multitude of photo filters, icons, and shapes. Slides is an online presentation editor that lets you create and store decks on the cloud, making your presentations viewable anywhere—from desktop computers to phones and tablets—with an internet connection. If you’re hosting a meeting or speaking at a conference, you can easily send a link or export a PDF copy of your presentation with Slides. 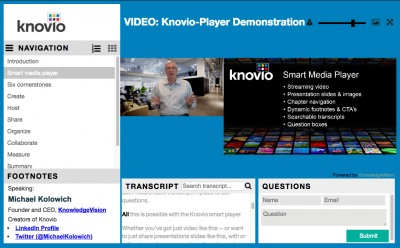 Knovio is an online tool that can help you create and publish slides that are interactive when viewed on the web. With Knovio, you can turn your slides into rich video and audio presentations with navigation, live transcript, footnotes, etc., which you can share with colleagues via email or social media. Haiku Deck is an easy way to create presentations on the web or iOS. 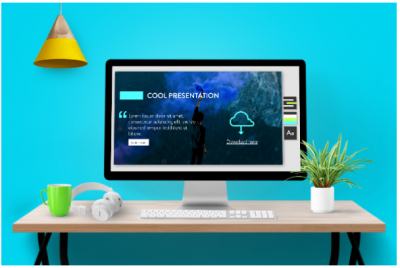 With it, you can create professional presentations without the need for a professional designer with their thousands of templates, and over 40 million images. It also has a range of stylish fonts, layouts, and image filters for the kind of polish that graphic designers charge thousands of dollars to deliver. 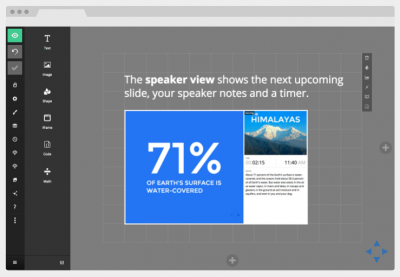 SlideDog, like many other tools on this list, lets you create presentations online. What makes SlideDog unique is that it lets you can combine almost any form of media into one presentation. You can insert various PowerPoints, Prezis, PDFs, YouTube videos, audio files, and many other elements without the need for conversions onto a SlideDog playlist so that you don’t have to switch between programs during presentation delivery. The tool also features live sharing, chat, remote control (from any web-enabled device), and audience feedback and analytics. PowToon is a web-based animated video presentation tool. With an interface like PowerPoint and many other presentation apps out there, PowToon can help you create a professional-looking video that can engage, explain, and sell ideas and concepts using ready-made templates and a drag-and-drop feature. 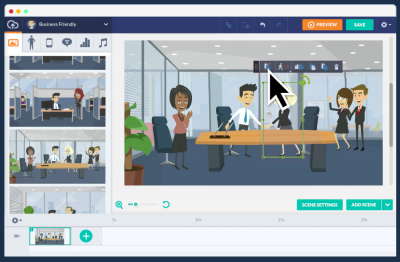 Similar to PowToon, GoAnimate lets users create professional animated video presentations. With simple clicks and drag-and-drops, you can add characters, swap backgrounds, and start scenes using the GoAnimate video presentation editor, which offers editable scenes representing hundreds of industries, occupations, activities, and concepts. You can also record voices to characters, and they’ll lip-sync the voice recording automatically. 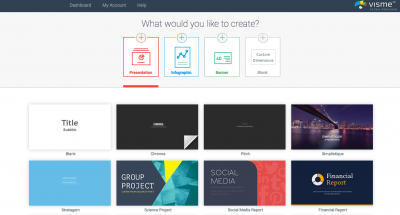 Slidebean is another online presentation tool. Its best feature is its automatic design feature that lets you explore and experiment with hundreds of design combinations with a simple click of a mouse. 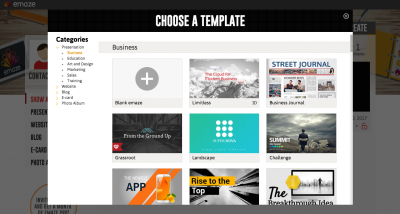 The tool has a wide range of professional templates, photos, icons, gifs, charts, and graphs. It also enables you to work with colleagues on a presentation simultaneously and track the activity of viewers on each slide. Developed with creative professionals in mind, Projeqt is a web-based presentation tool that gives creatives users the ability to create stories with style and personality using a variety of media—from Vimeo videos, Flickr photos, audio notes, blog feeds, live tweets, or any media stored on your computer. Zoho Show is part of the Zoho Docs suite. 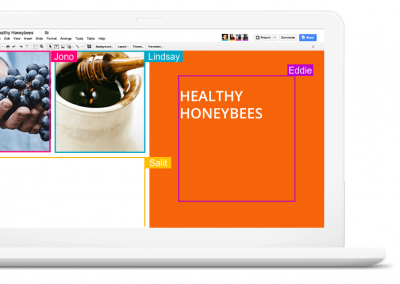 Like the majority of the tools on this list, Zoho Show lets you create slideshows on your web browser using themes, text, and other visual elements like charts and graphs. One of its best features is “broadcast,” which lets you remotely present slideshow in real time to anyone with a web browser and internet access via a link. Combined with a conference call, this broadcast feature enables you to present to clients and colleagues remotely. 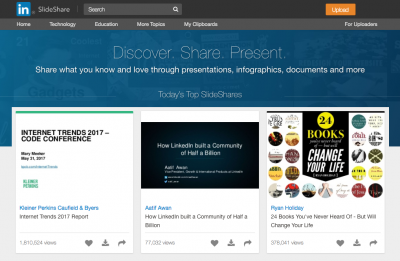 SlideShare is an online platform that lets professionals, educators, and students share their presentation decks online. 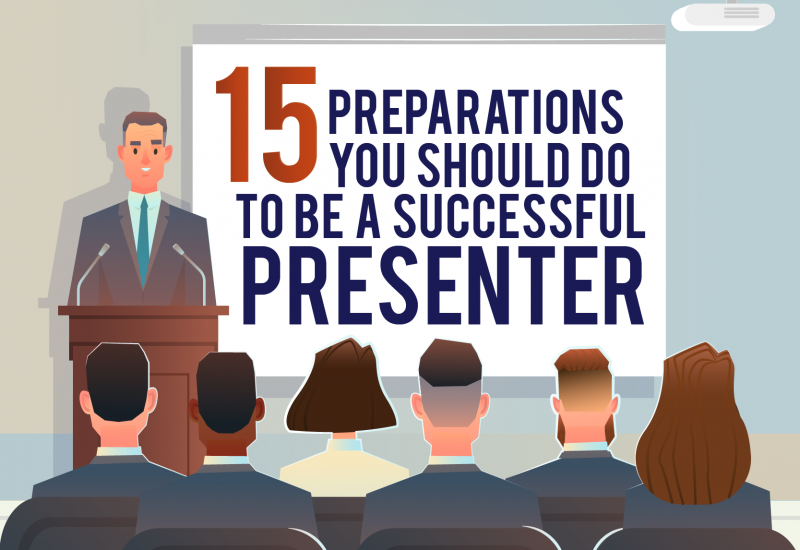 If you’re preparing for a presentation, SlideShare is a great place to go to learn and get inspiration. You may even want to share yours on the website to showcase your expertise to a wide audience range, as SlideShare is, after all, one of the top 100 most-visited websites in the world. 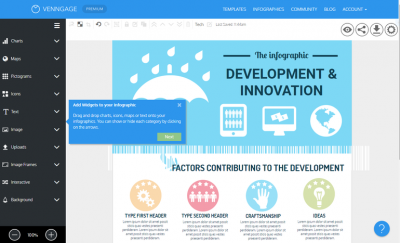 Emaze promises to help users create well-designed presentations within minutes. 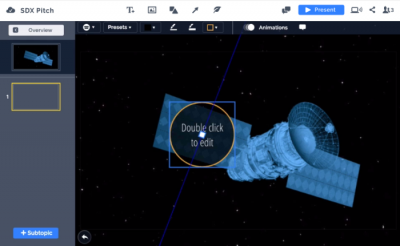 The web-based app features ready-made templates, 3D transitions, and different sorts of media (including images, videos, and gifs). Another key feature of Emaze is that it lets you upload an existing basic PowerPoint and transform it into an Emaze, with an improved design, typography, transitions, and more. 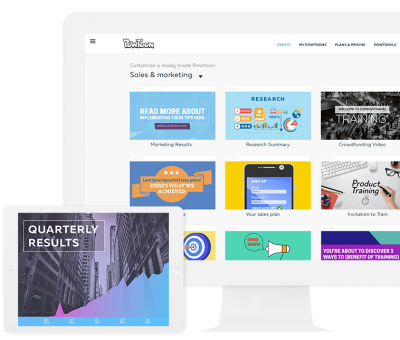 FlowVella is a web-based presentation software that lets you engage your audience in an interactive presentation experience, may it be for sales and marketing, training, or performance reports. By making the presentations feel and look like interactive apps, users can combine words, images, videos, links, galleries, and PDFs to turn your slideshows into a complete experience. FlowVella has native apps for macOS and iOS, but presentations can be edited and viewed on any web browser. Swipe is another excellent online presentation tool. What makes it great is its simplicity, which lets you create slides by dragging and dropping any media you want to include. Afterward, you can pick solid color backgrounds and add text. The tool lets you share and present your slideshow online where others can follow along in real time. While these features are already available in other apps, what makes Swipe unique is that it lets you add polls to gather live feedback from your audience. Venngage is primarily an app for creating infographics, but it doesn’t make it less of a tool you can use to create visually engaging presentations. 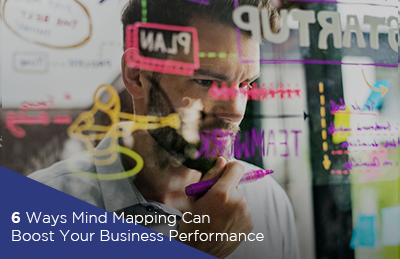 Since it specializes in graphics, reports, posters, and other graphics-rich content, Venngage can help you communicate your ideas more visually. 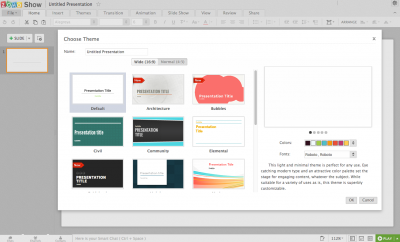 With a toolbar to drag and drop elements onto a blank canvas (or a pre-made template), you can create content that you can use to deliver your presentation. Whether you’re using an iOS device or your desktop web browser, Adobe Spark lets you create and share engaging videos for business or even personal use. 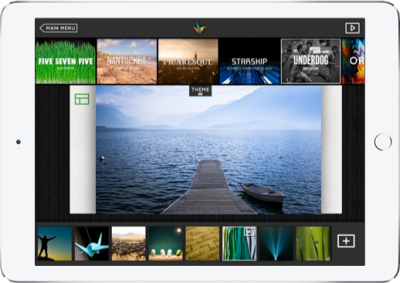 After selecting a visual style or theme, the app can then combine video clips, photos, and icons into one video. Spark also lets users add text overlays and music from a wide variety of free soundtracks available (or your personal collection). Oomfo is a Microsoft PowerPoint plugin that helps you create and add intelligent charts to your presentations. 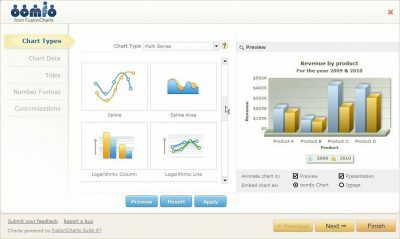 The charts are animated, interactive, customizable, and can connect to multiple Excel files at once. You can also do one-click conversions of your existing charts to Oomfo charts. Finally, Oomfo has specialized charts like waterfall, pareto, and marimekko, which aren’t available using PowerPoint alone. 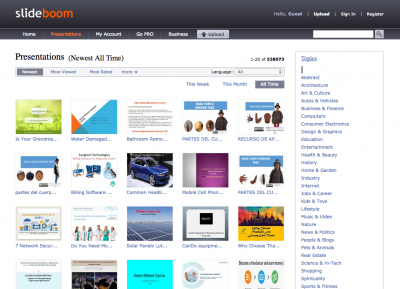 Similar to SlideShare, SlideBoom is an online repository of presentations. If you’re looking for inspiration, there are thousands of presentations in over 100 languages and 30 categories on SlideBoom. It’s also a great place to host your slides online, as it preserves the original quality of content uploaded to the website, though it converts your presentations to Flash. Your presentation skills will be measured by two things: an organized, confident delivery and a well-designed visual. With this big list of the best free and freemium presentation tools, you can start creating beautiful graphics and engaging slides to deliver your most interactive presentations yet. Of course, good visuals are a must. Still, don’t forget that your own platform skills are even more important. That is also why professionals must get a comprehensive training on presentation skills to unleash their full presentation potential.